some nice local cheeses, foccacia, absolutely fantastic "Carne cruda Piemontese"
so pretty much a no-brainer for a Barolo (although wines from this co-operative have not really impressed me, and 2009 is a hit-and-miss vintage). has almost like a Barbera or Dolcetto depth in it. Nose is pretty nice, kind of closed though; has some cherries, earth and oak, a hint of black tryffel, or maby im just dreaming. 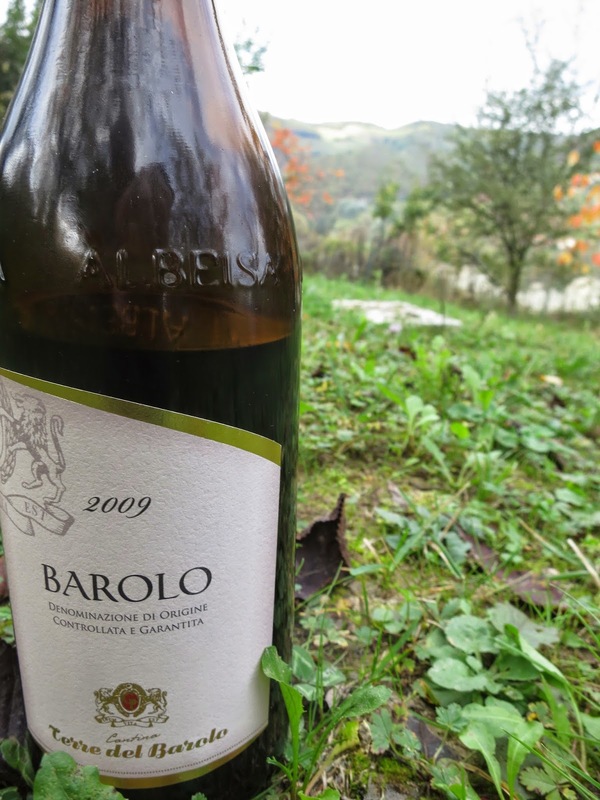 Basic stuff, nothing exeptional, lacks the otherwordly, delicate and multilayered nose of great Barolos. But all that aside, the taste is nice; very mouthfilling, almost thick, fruit driven and surprisingly sweet, chocolaty and spicy, very enjoyable with soft and silky tannins, also some acidity. Ok structure. this would be a very nice effort. So definitely a good wine, but an avarege and soft for a Barolo.